Effectively communicating with customers is one of the most important parts of a successful business. Using marketing emails to do so has become a vital piece of that puzzle. These emails give consumers the ability to interact with your brand on a regular basis, which both strengthens relationships with customers and keeps your brand in their line of sight. Email marketing is aimed at converting potential leads into sales. However, sending just any email will not do the trick. Your communications have to be crafted in a way that makes a customer want to spend their money at your company. It’s an email marketer’s job to find the perfect formula to accomplish this. Many people choose to ignore marketing emails by immediately assigning them to a spam folder or ignoring them altogether. 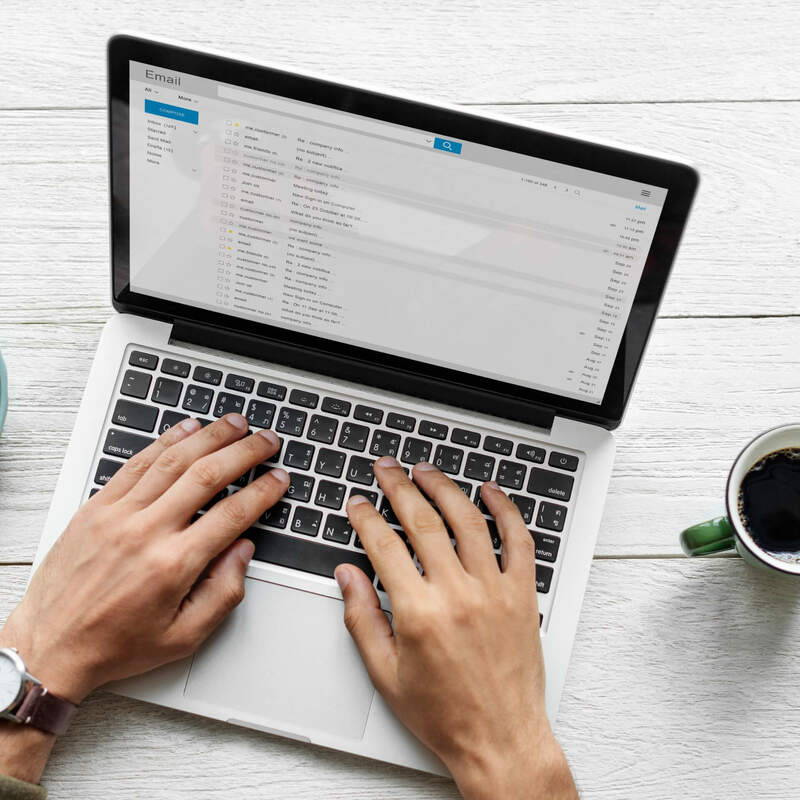 Writing emails that convert to sales comes down to knowing what will spark an interest in your customers and using that to your advantage: from the subject line through to the signoff at the end. Here are our top components for turning leads into sales via marketing emails. The subject line is the first point of contact between you and your potential sale and is, therefore, the most important part of your marketing email. If your subject line does not immediately engage your customers, the chance they will open the email at all goes way down. If customers don’t open your email to start, the message itself is meaningless. The most important job of a successful subject line is to provide a reason for a customer to want to open it. Consumers will open an email for one of three reasons. Either they believe they will benefit from its contents. They are curious about what the contents of the email are. They believe they will be missing out on something if they do not open it. One of these three reasons must be present in your subject line or the email is at risk of being ignored. Customers open 77 percent of emails on phone screens as opposed to desktop computers. That means subject lines should be kept short and sweet at no more than 50 characters. It is important to get your point across in as few words as possible. Try testing out different subject lines prior to sending the marketing email out to customers. 47 percent of marketers regularly test their email subjects in order to optimize their communications and ensure they are using the best option. Once the subject line has gotten the customer in the door, the next step is to keep their interest through to the end of the message. Be sure to provide what was promised in the subject line as the reason for opening the email. If customers feel they are not getting what they expected, they may close your email as quickly as they opened it and then ignore any future communications. Emails should follow the same guidelines as any other web writing and remain clear, concise and to the point. Like subject lines, the copy should say as much as necessary in as few words as possible. That means the writing should be kept short and organized in a way that is easily understood. Separate your email into short sections starting with the most important information at the top then move quickly and easily from one thought to the next. Try not to include more than one idea per paragraph. Use subheadings, numbered lists, or bullet points for emails with larger amounts of information. Using the right tone of voice makes a big difference in the way your email is perceived. Every word counts in a marketing email, so make sure that you give your readers the right impression of both yourself and your company. Write your emails with an original voice and personality that could only belong to a real person. Avoid using too many exclamation points or using all caps. That comes off as “shouting” and will turn readers off right away. End your email by reinforcing a sense of urgency and creating a call to action. Whether this is a link to your website or a sentence urging the customer to purchase, that last push will help convert more customers to sales. Every reader of marketing emails is a person, and as such, will respond to certain psychological cues. Although this can start as early as the subject line, keep this in mind throughout the email’s body as well. One of the strongest tools is the feeling of FOMO, short for “fear of missing out”. Include time-limited discounts and product scarcity to make the customer feel like they may miss out if they don’t take action quickly. Additionally, using personalization helps make every customer feel special. By including their names in the subject line, greeting and even closing of the email you have the perfect opportunity to make a more personal connection. Use the information you know about your consumers to appeal to their preferences. Each one should feel like they are important and not just another name on a list. Although email marketing may seem easy, there is both science and art in making the emails more effective. Generating sales from potential buyers is the end-goal of marketing communications. By using the right formula and following our best practices, your emails will be much more likely to convert. Want to learn more about our Blogging and Copywriting Services? Whether it's copywriting, copyediting, or blogging, we can help you create great content for your website, social media, and ad campaigns. Learn more about how we can help your business succeed.